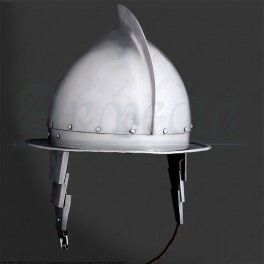 Le cabasset est le casque du 17e siècle. Celui-ci est inspiré des gravures de l '«Exercice des armes" de Jacob de Gheyn où il a enseigné l'utilisation du mousquet et de l'arquebuse. Il peut être combiné avec l'armure avec tassette 17ème (MH-A0798). Fabriqué en acier de 1,6 mm. Avec plaques de protection latérales. In the Europe of 17th century the Spanish empire was at the height of its importance being one of the world powers which crown domains extended considerably. Dutch, due between several factors to a culture and religious shock decided to rise up against their sovereign in what was known as Eighty Years´ War or Dutch Revolt. To help this revolt Jacob de Gheyn II made engravings for the "Exercise of Weapons" where taught the use of pike, musket and arquebus. Extracted directly from the engravings we´ve interpreted and reproduced this beautiful cabasset ideal for those who reenact combative classes from the 17th century. 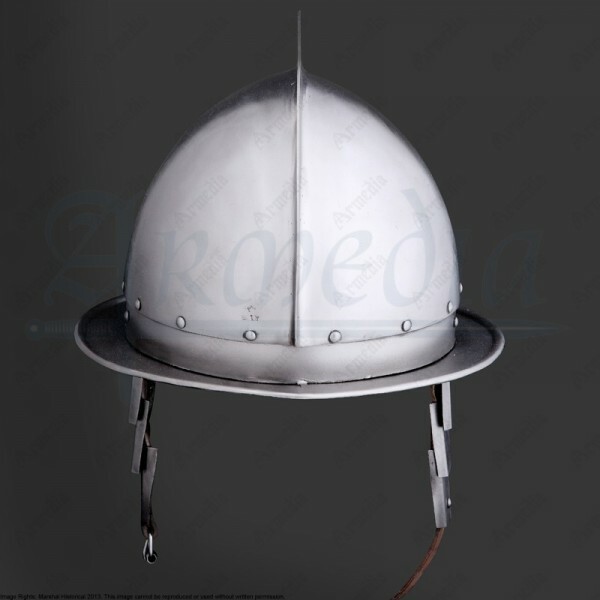 In the engravings can be seen pikeman troops wearing this protection combined with a breastplate that we also reproduced in the item MH-A0798 which we´re very proud about, but also can be seen on arquebus troops and represented in arts of other places and troops. Cheek plates included were used to protect the neck and face of the wearer and became a commonly piece on the age. Made with 1,6mm steel with cheekplates. 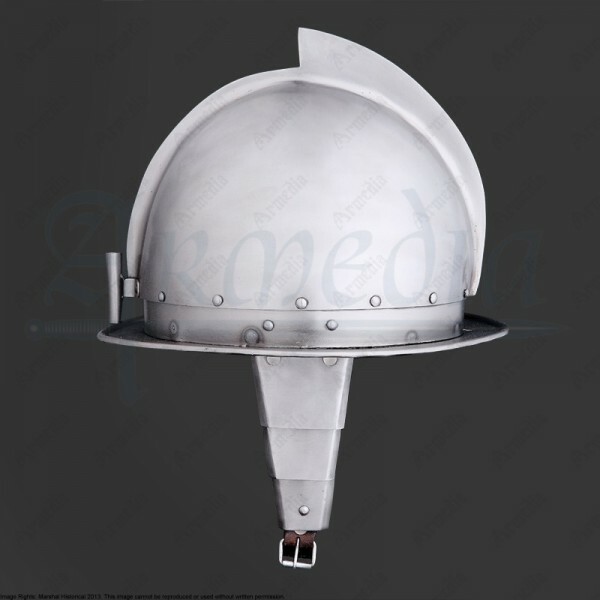 Steel thickness may vary due to the handcrafted methods used on its manufacturing.